A spiritualist, mystic, historian and lifelong collector of antiquities, J. S. M. Ward (18851949) embodied the cultural turmoil of an age of collapsing empires, religious fragmentation and world war. The Abbey Folk Park he started in 1934 at New Barnet, north of London, was an innovative history museum where Wards interest in esoteric heritage, world cultures and the occult attracted much attention. Unfairly disgraced in a sensational court case in May 1945, he and his followers departed England for Cyprus in self-imposed exile, along with his stunning collection of artefacts. After Wards death, both the community and his collection moved to Queensland, Australia, where a new Abbey Museum now thrives just north of Brisbane. 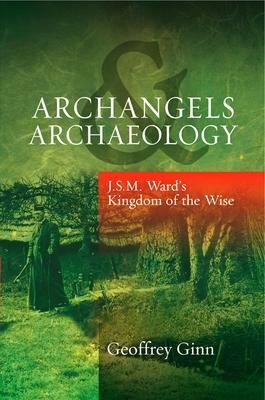 Archangels & Archaeology traces John Wards extraordinary life and career for the first time, from Edwardian Freemasonry and wartime spiritualism to his apocalyptic visions as a second world war threatened to engulf Europe. His lively museum fused a passion for Britains disappearing heritage with a conviction that western civilization would shortly collapse. These vivid concerns so often treated in isolation come together in J. S. M.
Wards curious and eccentric life story. Geoffrey Ginn teaches modern British history and heritage studies in the School of History, Philosophy, Religion and Classics at the University of Queensland, Australia. A member of the Board of the Queensland Museum, his research interests encompass cultural and urban history in British and colonial settings.